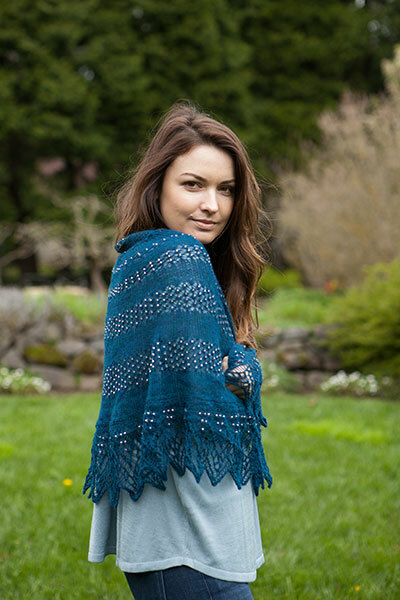 The stockinette in this exquisite shawl serves to highlight the interspersed sections of traditional Shetland lace, which slowly grows, taking over from the plainer stitch. 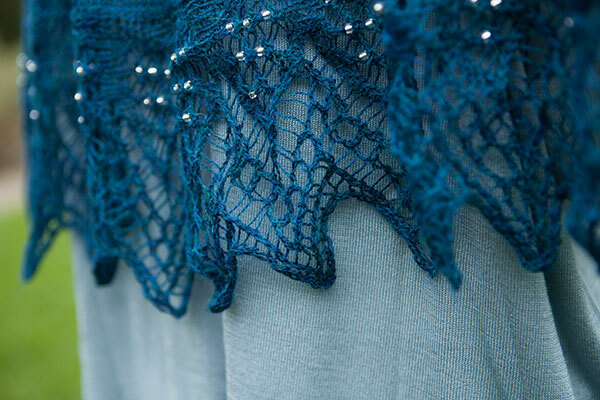 The bright beads hang like dew on the lace inserts, creating further contrast and a drape that hugs your shoulders, letting the deep lace edging hang to best effect. 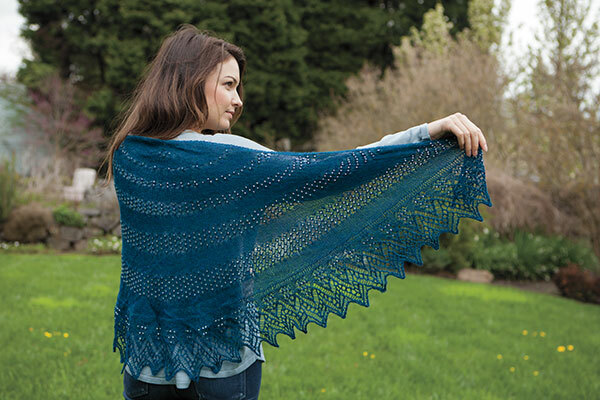 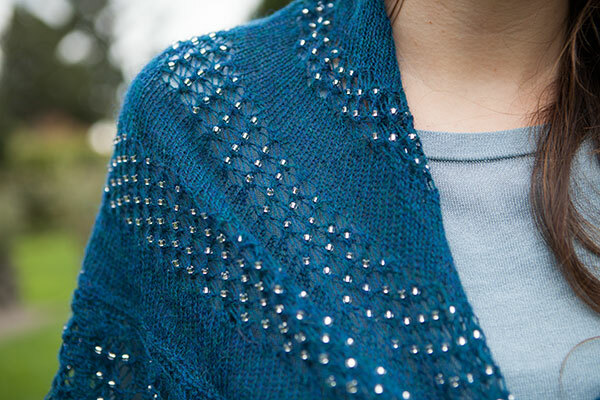 The Geraldine is a semi-circular shaped shawl knit from the top down from a tab cast on. 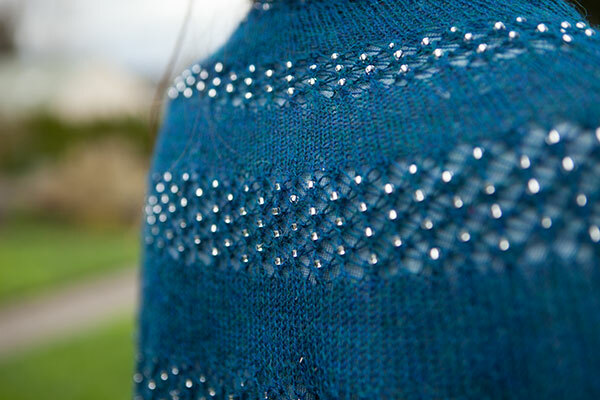 Stockinette sections alternate with ever-increasing lace stripes, with an applied lace edging. 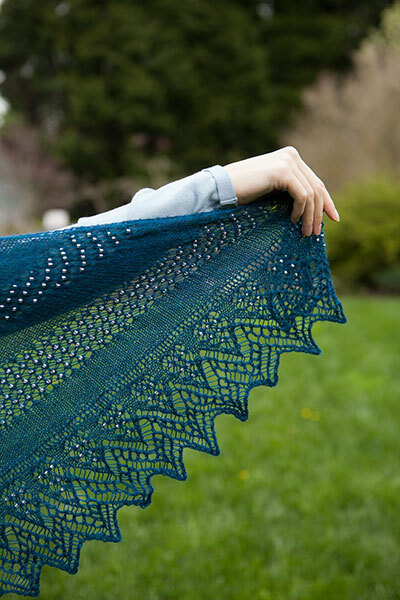 Lace sections include patterning on rightside and wrongside rows.